Many people are trying to live greener lives these days. This effort also extends into planning weddings. Brides are now looking for eco-friendly wedding centerpieces that will be attractive, while not harming the environment. You may be worried that this will be weird or clunky designs, but you will be surprised to find what inventive ideas will highlight your wedding tables just beautifully and are still green. Reuse certain containers you may already have around the house in creating your wedding centerpiece to give it an eco-friendly design. Grab your vases, jars, small buckets and even baskets to use for your centerpiece designs. They do not have to match they just have to hold your plants or other decorations to dress up your tables. Now, depending on the flowers or plants you are using, you can fill the containers with water, sand, pebbles, shells, birdseed or wood chips. Fresh cut organically grown flowers can be placed in water and the containers placed in the centers of the tables. You can use sari or organic ribbons to decorate the containers. Sari ribbon is made from recycled silk. Succulents also make wonderful centerpieces for eco-friendly designs. These do not take as much water as cut flowers, if that is one of your concerns. Various air plants will work, if you choose to use bark chips to fill your containers. These plants absorb water from the air. For a beach wedding, just jars of shells with no flowers or plants at all will decorate the tables, while keeping with the beach theme and be eco-friendly. 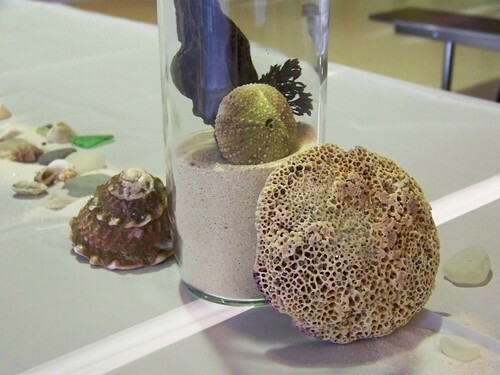 In fact, if you gather the shells from the beach, they can be placed back on the beach after the wedding. 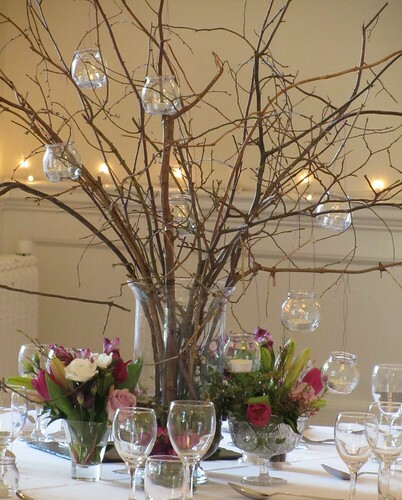 Various twigs that have fallen from your trees can lend a nice touch to your centerpieces. These can be secured in the containers with either sand or pebbles, as these are dead already and need no moisture. Another idea for this is using sunflower seeds or other types of birdseed in the containers. This one is a great eco-friendly idea because you just feed the birds the seeds once the wedding is over. There is no waste, because the twigs also can be added to your compost pile. 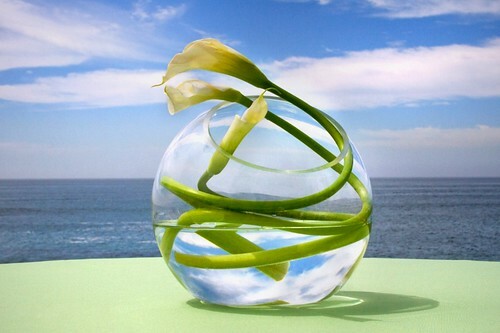 The above ideas are just some of the eco-friendly ways to make centerpieces using plant items. If you want to also use some candles, make sure they are made from soy wax or beeswax. These waxes are clean burning and do not pollute the air like paraffin candles do. Around the containers on the table, you could lay some more fallen twigs or evergreen branches. This would continue the eco-friendly design, as you did not cut the branches or twigs from the trees or shrubs. Now, if you are not into making your own centerpieces, there are florists today that specialize in eco-friendly arrangements. They use local flowers and plants that are organically grown. Check out what idea appeals to you today. You can have lovely wedding, while practicing your green lifestyle.